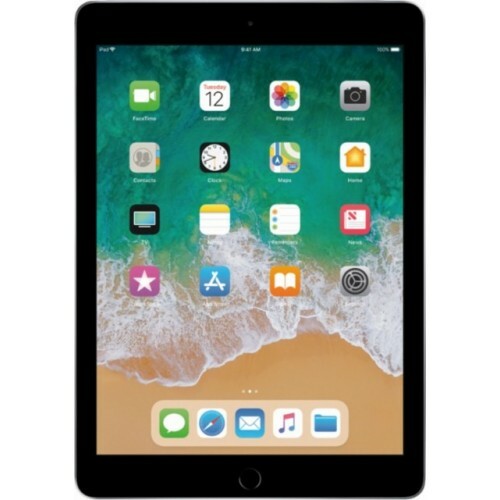 Now with Apple Pencil support, the space gray Apple 9.7" iPad allows you to take full advantage of the multi-touch Retina Display. Draw pictures, jot down notes, and sign documents with the Apple Pencil (sold separately). The iPad also has an A10 Fusion chip, which is powerful enough to run augmented reality (AR) apps. 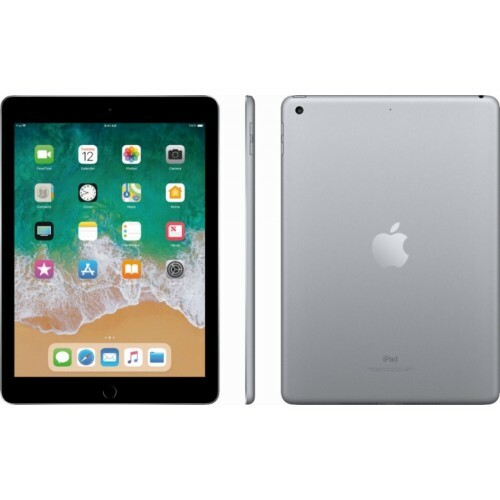 Combined with enhanced cameras and advanced sensors, including a gyroscope and accelerator for accurate motion tracking, the iPad delivers an immersive AR experience. The iPad features a 9.7" Retina Display that has a 2048 x 1536 resolution, resulting in 264 ppi - over 3.1 million pixels. The display also has multi-touch support. 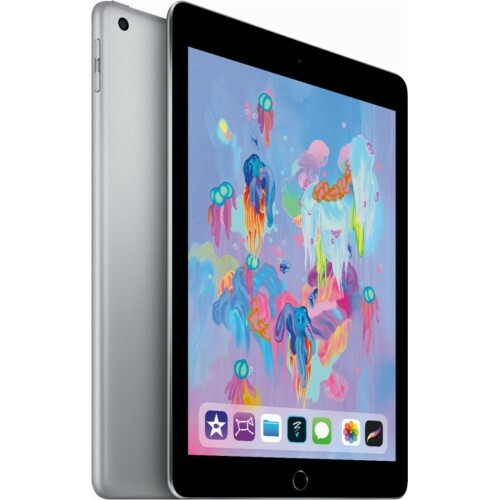 At just one pound and 7.5mm thin, the iPad features an aluminum unibody construction that delivers a solid feel. There is also a front 1.2MP FaceTime HD camera and a rear 8MP camera that can record 1080p video. With support for 802.11ac Wi-Fi, the iPad supports both 2.4 GHz and 5 GHz frequency bands.